You know I am not Spanish and had no relatives or contacts with Spain at all, but I indeed love the food. From tapas and sangria to paella, the country seems to have plenty of good food to offer for an empty tummy. 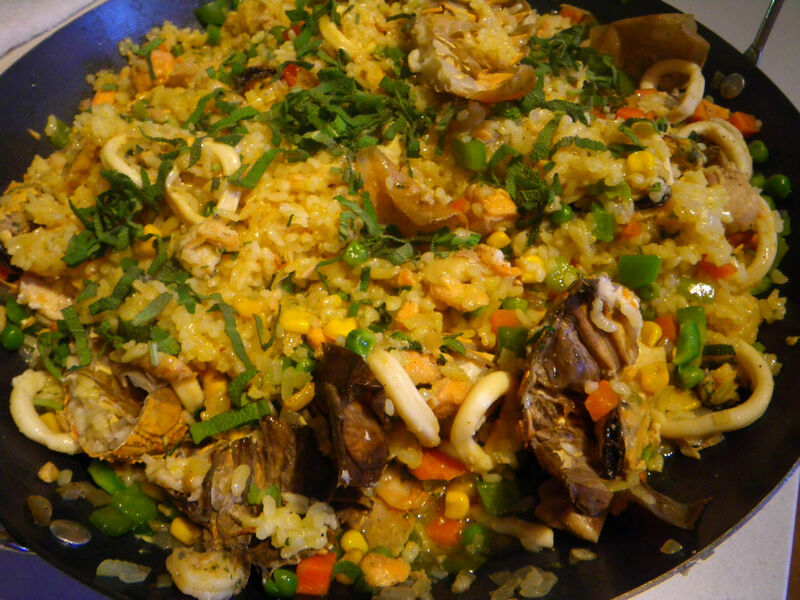 Paella is somehow reviewed internationally as the national dish for Spain, although it was originated in the east coast as a regional cuisine dish. 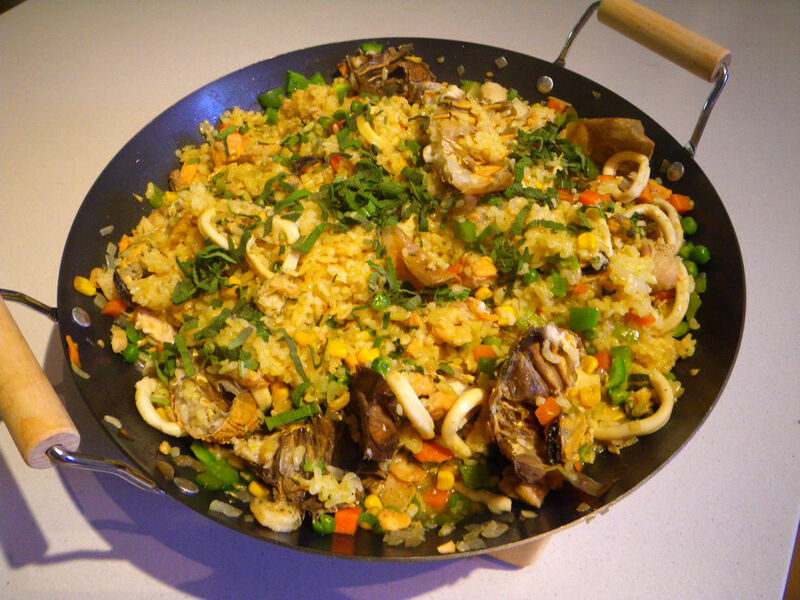 Paella, most commonly to us in Australia, appears as either the seafood variety (Paella de marisco) or the Valencian variety which is land animal based. 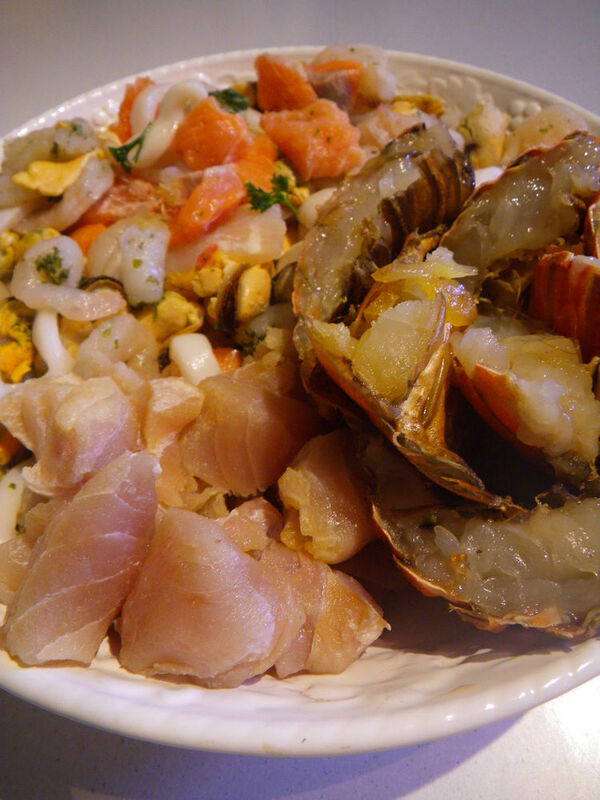 The recipe that I am putting up today is nowhere near the professional dishes that I enjoyed in restaurant. It’s just something that we have cooked and loved at home for a long time. 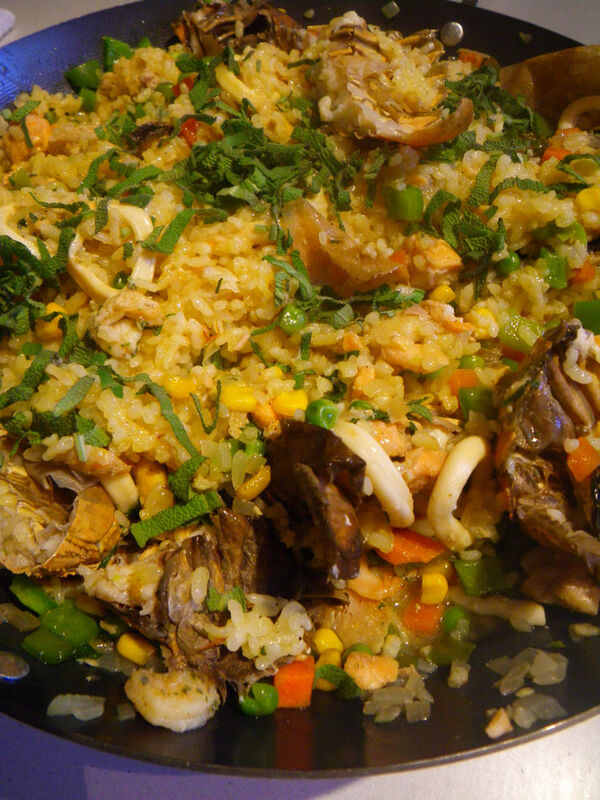 To be more accurate, it should be the ‘mixed paella’ that contains seafood and vegetables. 1. Soak the rice and the saffron in the water for at least 1 hrs before cooking. 2. In a paella pan, heat up some olive oil. 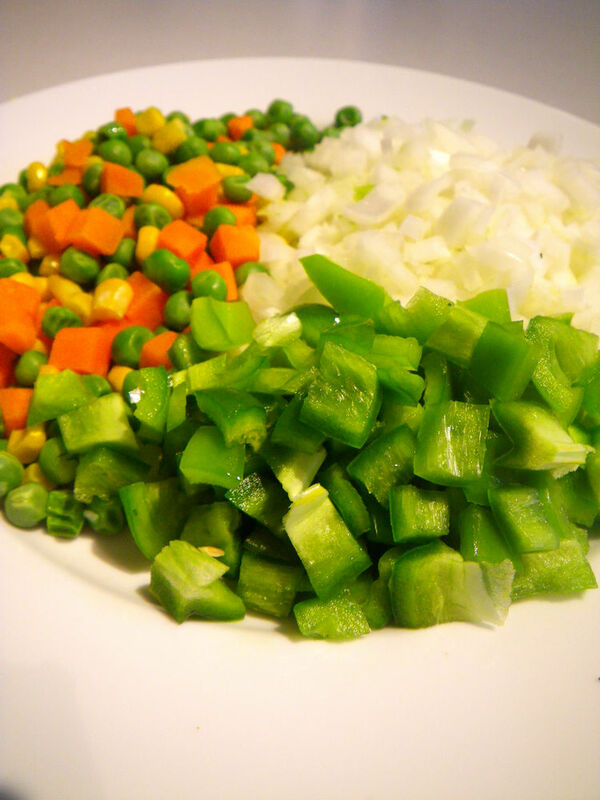 Add the diced onion to stir fry until soft. 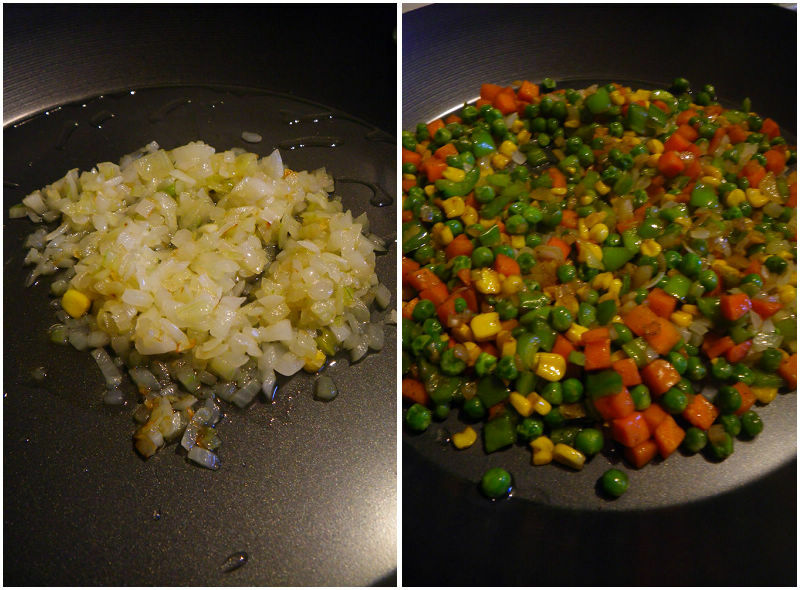 Then add the vegetables and stir until soft. 3. Add the seafood and stir until the outside of the seafood changes color. 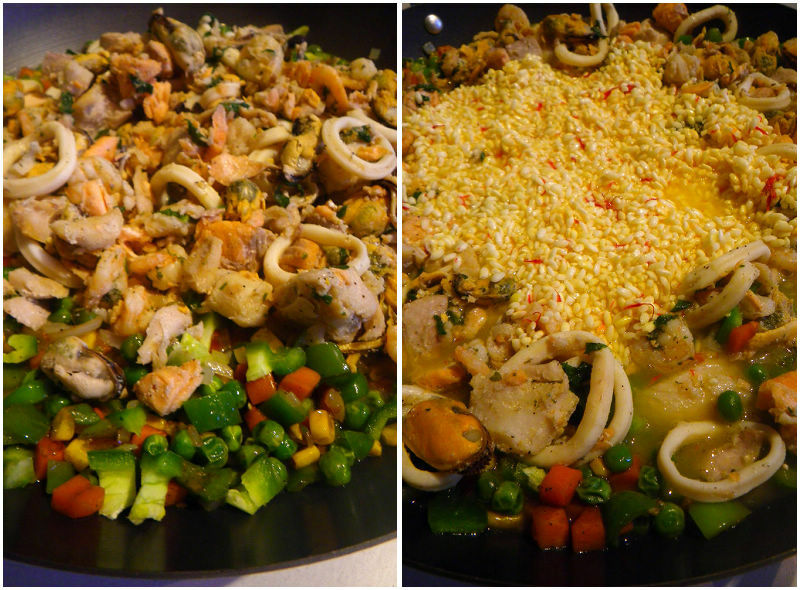 Then add the rice with the water into the center of the paella pan and make sure the rice is evenly spread out. 4. Put the fire on high and cook until the water in the pan boils. Then turn to low fire and place the balmian bugs on the pan. Cover the pan with a lid and cook further until the rice is well cooked and there are no excess juices left in the pan. 5. Once the rice is well cooked, add in the tarragon and serve. For my own convenience, I stirred the content before serving. This dish tastes really delish! 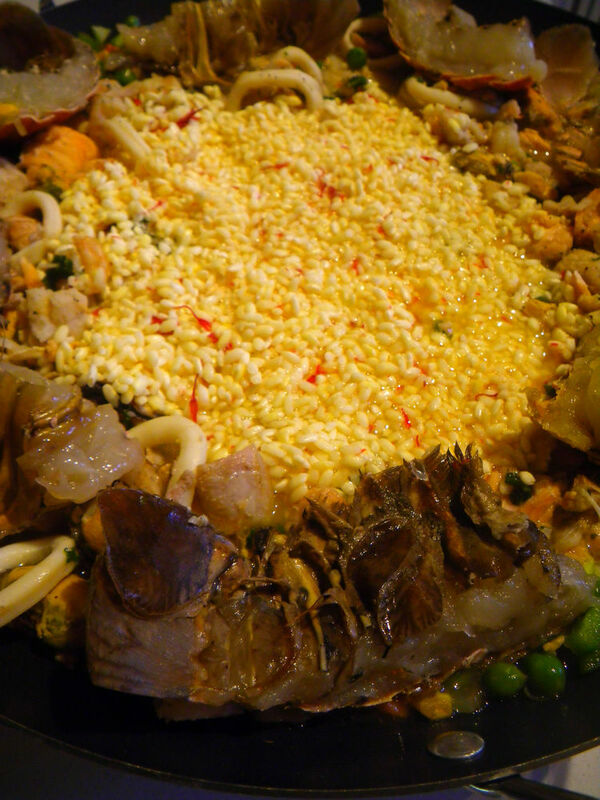 The seafood juices have been fully sucked up into the rice along with flavours from the onion and the vegetables. 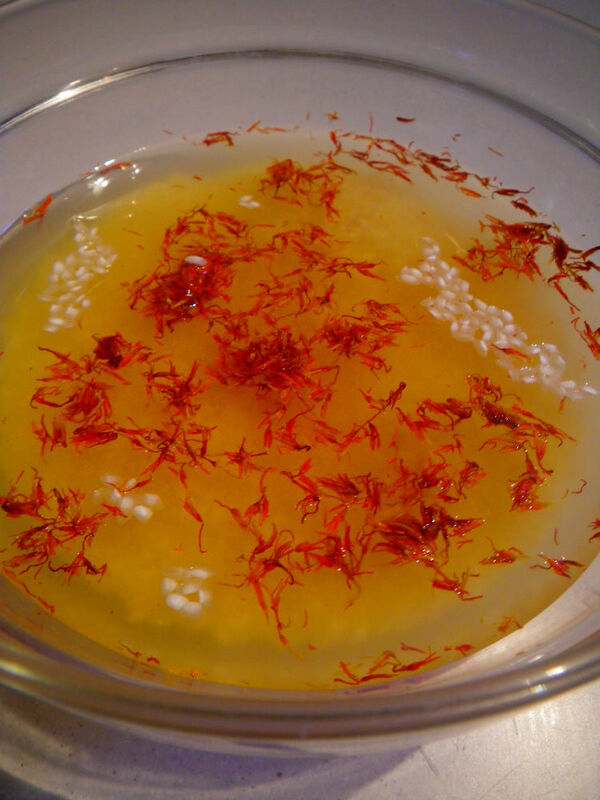 The saffron did not only contribute to the color of the dish but also introduced extra spiciness into the rice. Every single rice was fully “pumped” and heaps of complex yet delicious flavours were in the mouth, leaving a longer effect on the palate. The tarragon lifted the freshness in the seafood and also complemented the seafood flavour so well by combining it with its own distinctive taste. Although it is not a restaurant standard dish, it contained lots of love during the cooking procedure and I absolutely enjoyed it! So, my dear readers, what’s your favourite way to cook your paella? I would love to hear from you too! 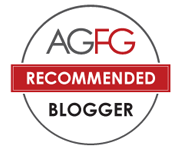 The next post coming on Adelaidefoodies will be about some dishes and recipes I tried with Fleurieu Prime Alpaca. Stay tuned for the taste analysis :D. Enjoy! 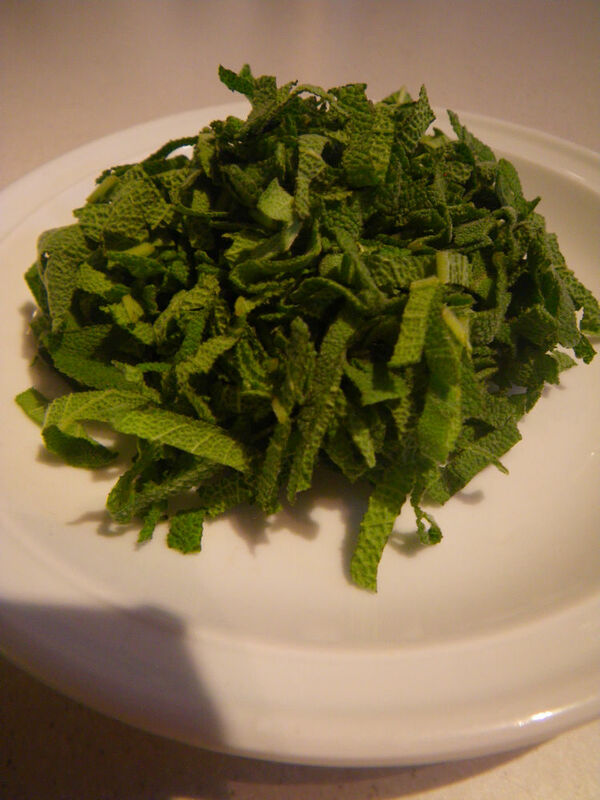 Next Post What is Australian Cuisine? Try paella at Intercontinental Glenelg. It’s quite tasty! I always mess up my paella but your method looks easy. We will try to give it a go soon! Oh yes, please try this recipe. I,am sure you are going to love it.